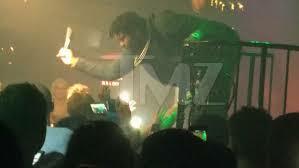 Sean Kingston lost it during a concert Thursday night Down Under and repeatedly swung at an obnoxious fan … and Sean’s mic was the weapon of choice. We’re told someone in the crowd at Australia’s SinCity Nightclub thought it was a fun idea to throw ice at him, and then follow up by flipping Sean off and spitting on him. Check out the vid … Kingston swings the mic, but it’s unclear if he makes contact. Sean claims they were just warning swings. We’re told the ice-chucking heckler was kicked out … And the show went on until the wee hours of the morning.